to Seafarers stunning beach and coastal views from our beautiful studios, units & lodges. of the ocean from all our rooms and decks are simply breathtaking. The best crayfish and seafood in the world landed live each day. Seafarer's pristine beach, watch waves on the sand from every room. A stunning drive to the world famous 12 Apostles National park. 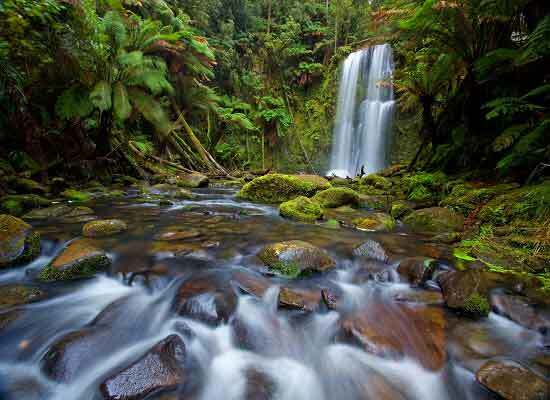 Seafarers is surrounded by National Park rainforest and waterfall walks. 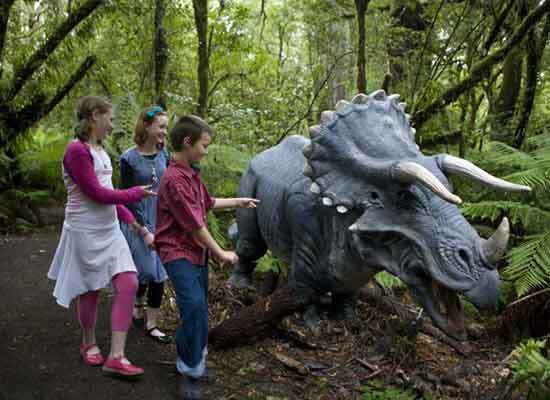 See wildlife in the trees and park of Seafarer's stunning nature setting. 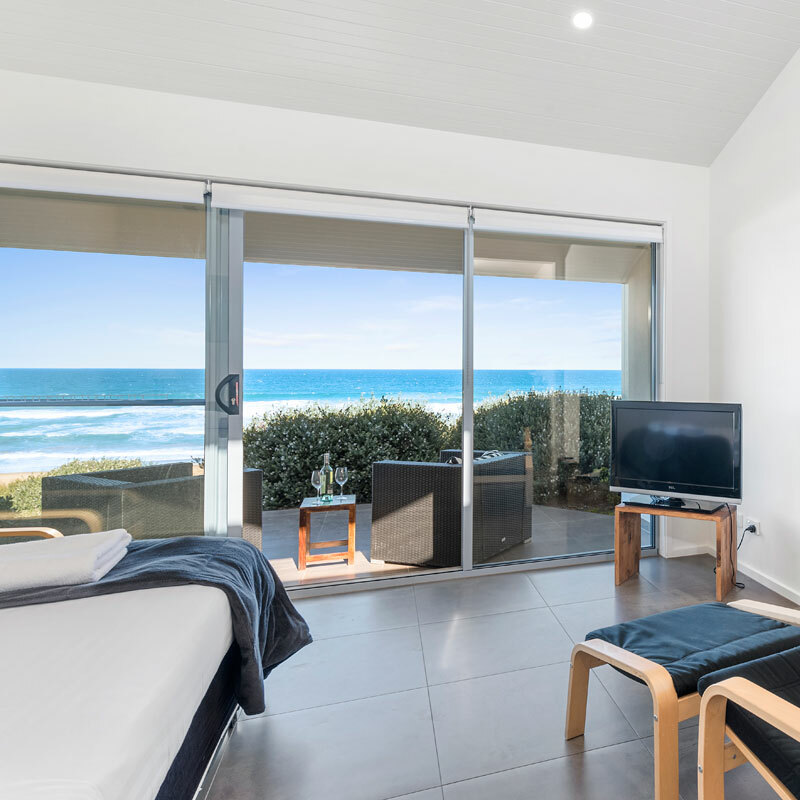 Seafarers Getaway is the outstanding accommodation for visitors to the famous Great Ocean Road and Twelve Apostles. Eight private hectares opposite Seafarer’s pristine beach is the setting for breathtaking beach and coastal views from each and every Studio, Unit and Lodge. The rolling green hills and forest of the Otway National Park complete the backdrop of this unique accommodation. 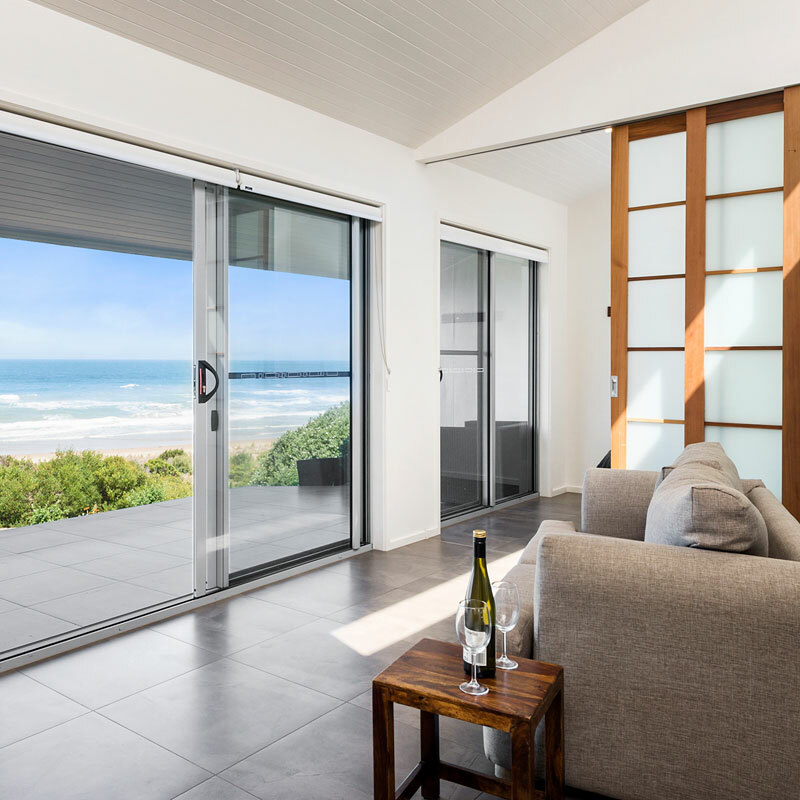 Perfectly positioned and easy to find with Great Ocean Road address, Seafarers is ideally situated for enjoying a break on the spectacular drive along the Great Ocean Road to the Otway National Park and world famous Twelve Apostles. 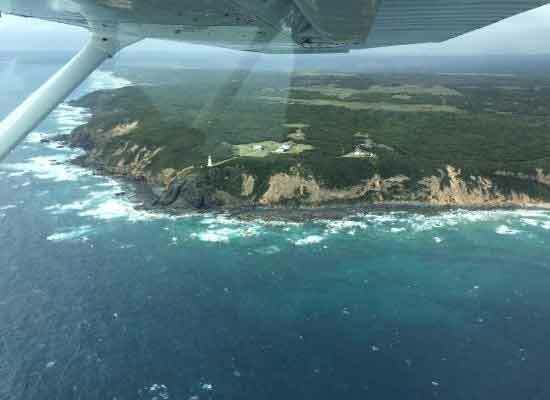 Guests can also enjoy a quiet and private Getaway,simply relaxing, or walking Seafarers beach and the waterfall trails of the Otway National Park. 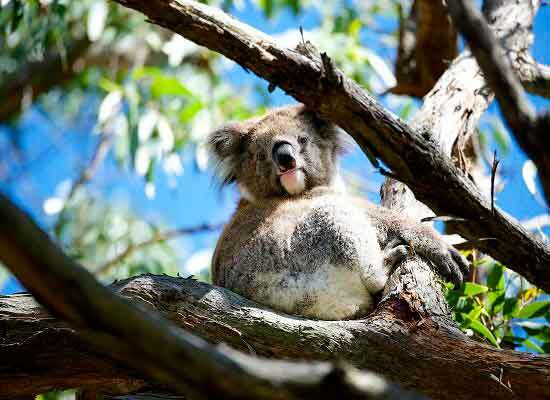 Whales and dolphin pass by in the waves, koala are spotted in the gumtrees, and the Alpaca in the field can be hand fed. The restaurants and cafes of beautiful Apollo Bay are only a few minutes away, where you can enjoy fresh local produce prepared for your dining pleasure or you may prefer to visit the Farmers Market, or the Fishermens’ Co-op for some fresh Crayfish, Abalone or local seafood and prepare your delicacies in the kitchen and barbeque of your accommodation, whilst enjoying the spectacular beach and ocean views. 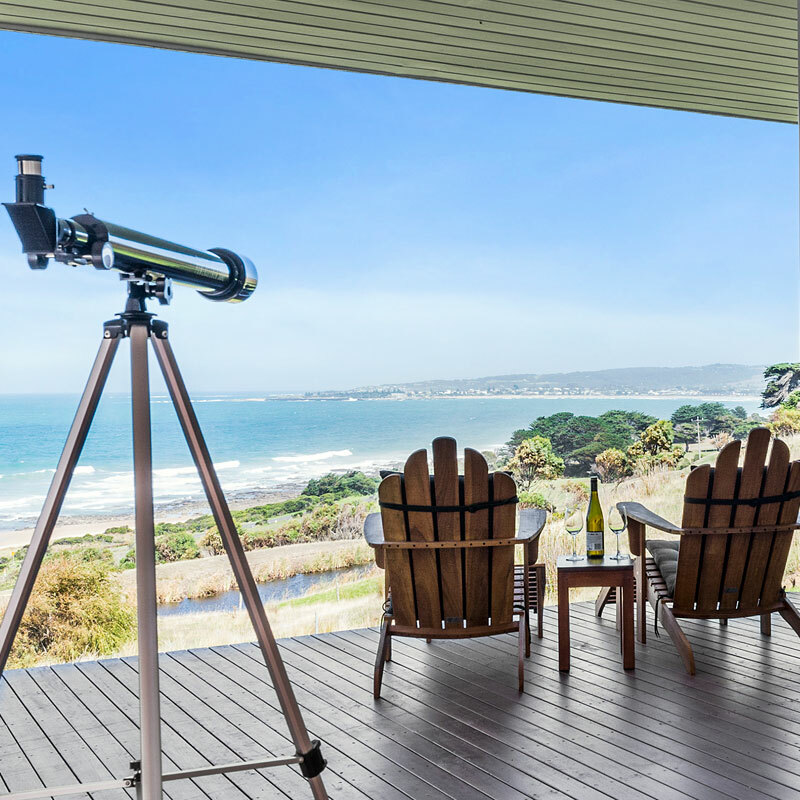 At night the fresh clean air brings the Southern Stars alive, and with the 180 degree view from your deck and the telescope in your Top Lodge and Ocean View Studio they are close enough to touch. 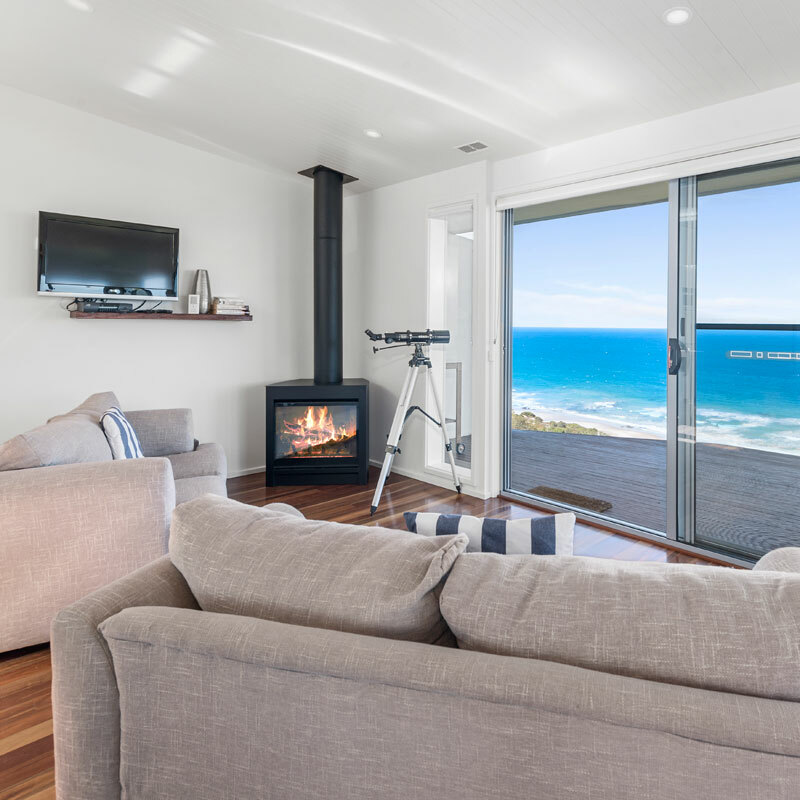 As a private getaway to relax and unwind or as a base from which to explore the spectacular Great Ocean Road, waterfalls of the Otway National Park, or the world famous Twelve Apostles, Seafarers Getaway has it all. Click here to view our current Specials & Promotional Offers!